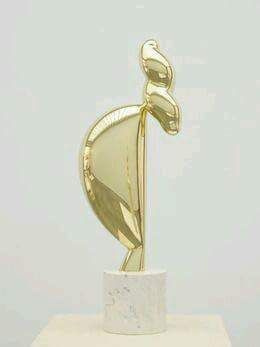 "Sleeping Muse" seems Golden, but it really is bronze. 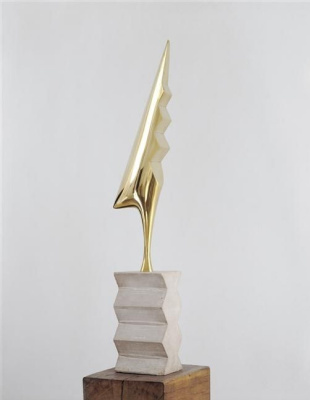 Constantin Brancusi did not hire helpers, did not trust anyone, casting and polishing – all part of a single process, the case of the sculptor. 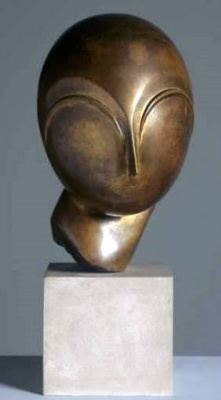 A brilliant craftsman, sensitive shaman, all my life listening to the language of wood, marble and metal, he for several weeks, and sometimes months could hold for polishing a sculpture. 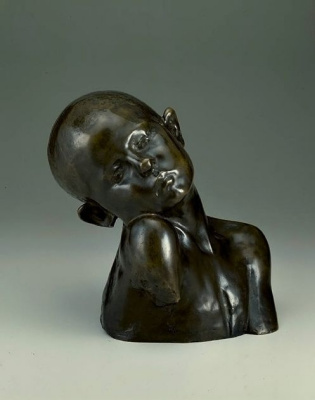 Each "Muse" was not similar to the previous one: white marble and is born and disappears, the features – just shallow strokes in a smooth rounded form, in the mirror surface one of the bronze copies you can consider the reflection of all the lights in the room, the other, matte, covered with patina, absorbs the light and sounds muffled, the third, covered in some places with gold leaf, as if found in an excavation of a rich ancient civilization, built up of centuries-old charm. 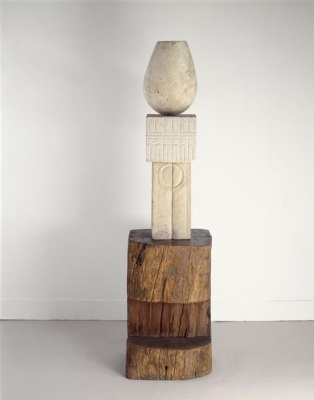 This is the first work in which Brancusi argues not only with European academic sculpture, static and formulaic, but with a naturalistic style of Auguste Rodin, dynamic and emotional. 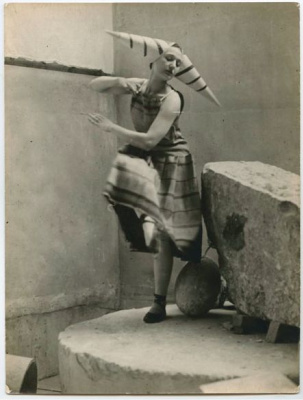 By the time the first experiments with Muse Brancusi lived in Paris 6 years to work in Rodin's Studio for about a month to quit this job and get around in search of the perfect forms of all the city's museums. But in museums it is not interested in the European part of the exhibition, and the archaic sculpture of Egypt, Assyria. He seeks the absolute, the form by which "we can move the universe." 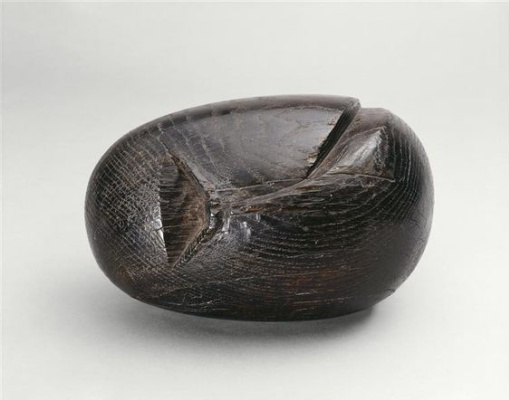 Elementary particle, the egg from which was born the whole world, and which already contains signs and codes this great, still sleeping, in the world – almost an abstraction, a symbol. Feminine traits are named: deepening the eye, stroke of the lips, furrows of hair does not violate the overall circuit. "Each material has a language, and I don't want to deprive him of this language or to replace it with his. 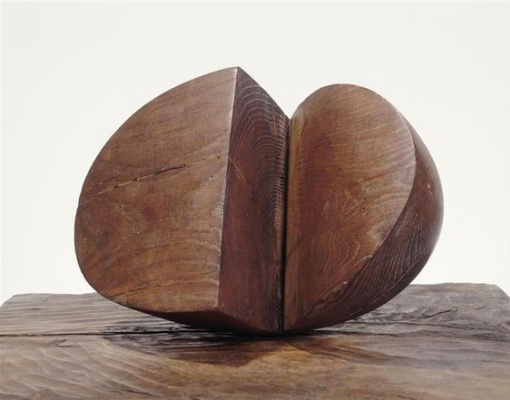 I want to Express in your language what I think I see", - Brancusi sensitive to the material as a craftsman and as a priest of some ancient religion that originated in the days when all nature was alive and people could feel it. 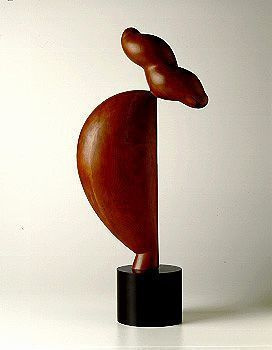 As a symbol of birth and beginning this form of Brancusi repeat many more times: "The baby's head"in "Newborn"in "The beginning of the world". 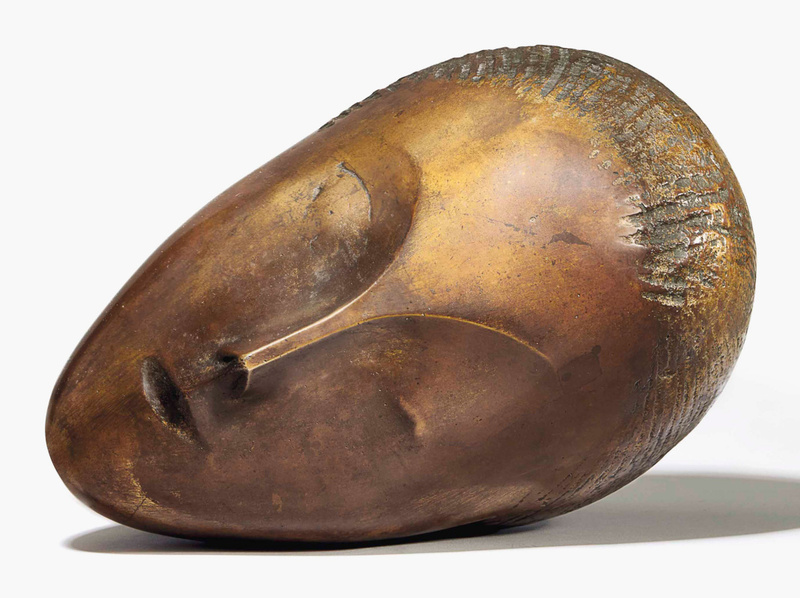 And in several versions of "Sleeping Muse", one of which in 2017 will become a sensation of the auction Christie's in 2017: the sculpture will be a long fight several buyers and eventually the cost will exceed the estimate of 2 times. 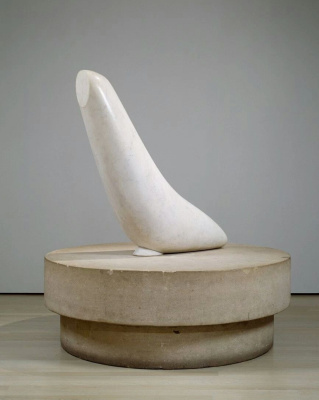 The final cost of the "Sleeping Muse" - 57 million dollars and that at the time of sale, the most expensive sculpture of Brancusi.